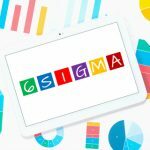 What are five things you need to know before deciding to learn Six Sigma? Here’s a helpful checklist. Realistically, this is something you should always be prepared for when attempting anything on the scale of complexity that Six Sigma has. Many people seem to have the mistaken belief that they can just take a couple of courses, take away the most useful bits of information from them, then keep applying that knowledge to their work until they’ve retired. The thing is – and we’ll go into this in a bit more detail later on in this article – your journey is not simply going to be a long and challenging one; it might actually never end. 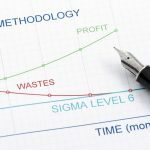 If you’re one of the people who have an intuition for the usefulness of Six Sigma and catch on to how you can apply it to your own work quickly enough, you’ll probably never want to stop climbing the ladder. 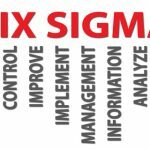 Once you’ve realized the huge benefits Six Sigma can bring to your workflow, you will want to know more and more. You’ll quickly find that lean is a very active and dynamic environment, and some things don’t stay relevant for too long in this sphere. You’ll have to learn how to navigate through this huge volume of knowledge correctly, and know how to seek out your next learning target adequately. Otherwise, you risk getting lost in a whirlwind of irrelevant courses – courses that would work great for someone in a different industry, but are all but useless to you. 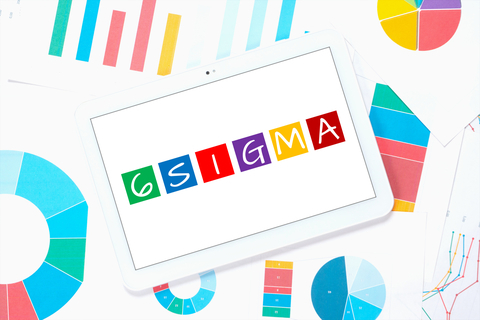 The problem boils down to the fact that Six Sigma is very adaptable to many different types of working environments, and the many industries of the world have recently started to come up with their own specific versions. 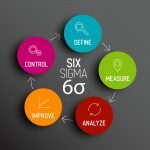 Sure, at the core, it’s still Six Sigma, but you’ll end up looking at significantly different charts and diagrams if you’re optimizing the workflow of, say, a fast food restaurant, as opposed to a production plant. One of the biggest beginner mistakes is to try tackling this huge journey on your own. Sure, you will probably eventually reach your goal, but it will take you a lot longer than it should, and you’ll get detracted multiple times along the way. The only true way to progress through the ranks as quickly as possible is to connect to other like-minded people, and share as much knowledge and experience as you can with them. There is a lot to gain from exchanging the fruits of your progress with others, and one of the key benefits is that you’ll sooner or later gain some insight into a more unusual area of lean that was unknown to you until then. This is very much aligned with what we described above about finding your right path through the hierarchy – having someone to guide you and stop you from making newbie mistakes is of huge help, perhaps even the most beneficial move you can make. On the other hand, by doing this you’ll end up contributing to the field yourself, whether intentionally or not. It’s not rare for a newcomer to the field of lean and Six Sigma to discover some new, unique techniques, and that’s exactly how the field as a whole moves forward. Thousands of people have contributed to the field so far. People with a lot of knowledge and experience, and in some cases, excellent intuition for improving processes and standardizing workflows, have been making great contributions with their insight. While this is great for those who came to learn, it can also be a bit of a hindrance to candidates with larger egos. You’ll sooner or later find some of your fundamental ideas about organization and process development challenged, and it’s important that you have the mental capability to step back and learn something new when the opportunity presents itself. A common problem in the field is that it’s not rare to see a leader in an established, respected position who has decided to learn Six Sigma for the first time in their lives. Obviously, someone who’s been in charge of a team for a decade or more is going to raise their eyebrows when they’re told that their understanding of leadership is flawed. The ones that know how to bite their tongue and patiently keep learning? Those are the ones that ultimately come out ahead and actually gain something valuable from their journey. We briefly touched on this above, but it deserves a whole point of its own. One of the core values of lean is continuous improvement – meaning that you should always be seeking opportunities to make your current process better in some way. A point that some students miss until very late in their studies is that this applies to your own learning process just as well. The knowledge you gained yesterday may become obsolete tomorrow thanks to a new advancement in the field, or because some new technology completely turned things around. The important thing is that you are always aware of these changes and stay up-to-date on them. 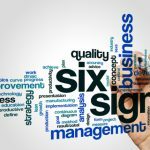 As long as you’re willing to reevaluate your knowledge in favor of new developments (but with a critical approach, of course), you’re definitely on the right track to learning lean and Six Sigma.